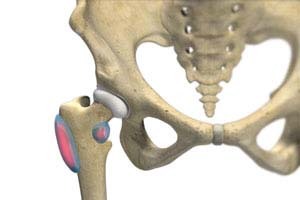 The bony prominence of the hip is called the greater trochanter and is present on the outer side of the upper thigh bone or femur. The bursa overlying it is called the trochanteric bursa. Another bursa is located towards the groin region and is called the iliopsoas bursa. Bursitis of the trochanteric bursa is more common than that of the iliopsoas bursa.